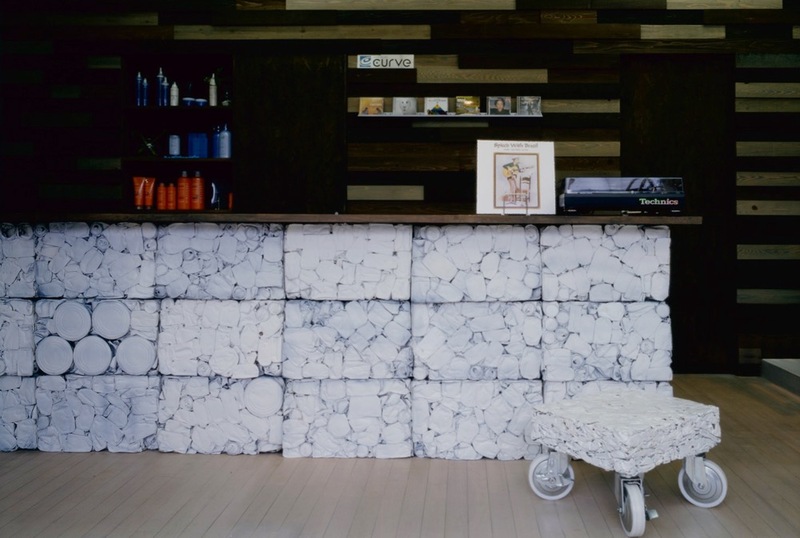 Curve hair salon is an interior design project located in Fukushima district, in Osaka city. The design intent is to use repurposed materials, giving them a renewed dignity. 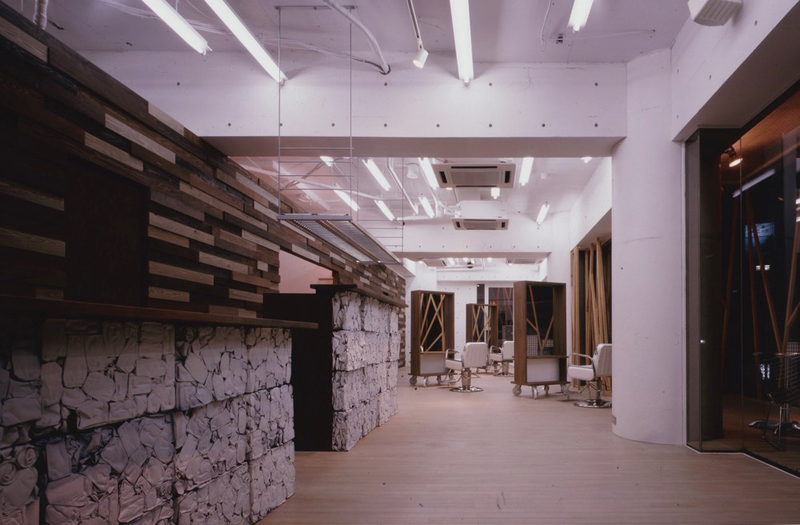 The area is developed as a single space, with only a partition for shampoo booths. Furniture and storage units are movable pieces of furniture that can be relocated. Repurposed wood and white pressed cans were employed as wall coverings and furniture, combined to give the space a character of elegant simplicity.